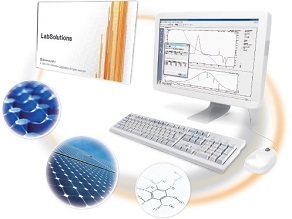 GPC software has been added to the LabSolutions lineup. This addition enables control and use of GC and HPLC instruments, including a GPC system, for analysis with the same interface, which simplifies the management of analytical instruments .Use of a wide range of approximation formulae to create calibration curves is supported such as linear, 3rd-order, 3rd-order + hyperbolic curve, 5th-order, 5th-order + hyperbolic curve, 7th-order, 7th-order + hyperbolic curve, or broken line. This software provides up to 64 data points and allows entry of virtual points , so calibration curves can be checked visually for appropriateness while they are being created. Mark-Houwink calibration curve correction methods or various correction methods based on Q-factors or degree of polymerization are also available. With its easy-to-understand analysis windows, the GPC software provides the optimal environment for molecular weight distribution calculations, as well as qualitative and quantitative analysis via multiple detectors.